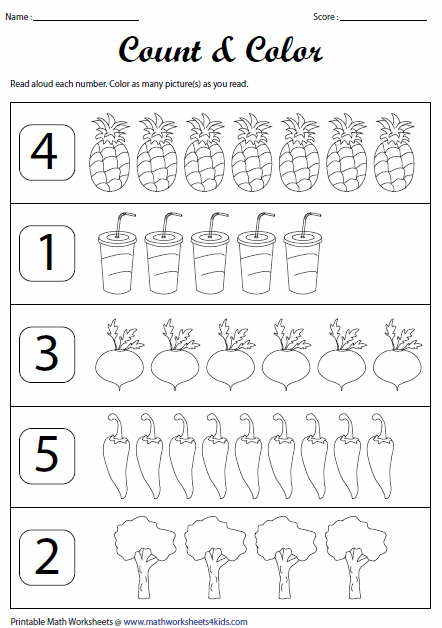 This page help kids to practice counting in most effective way. It contains many skills like counting objects, matching groups, reading and counting items, counting and coloring, comparing any two quantities, real life word problems and more. 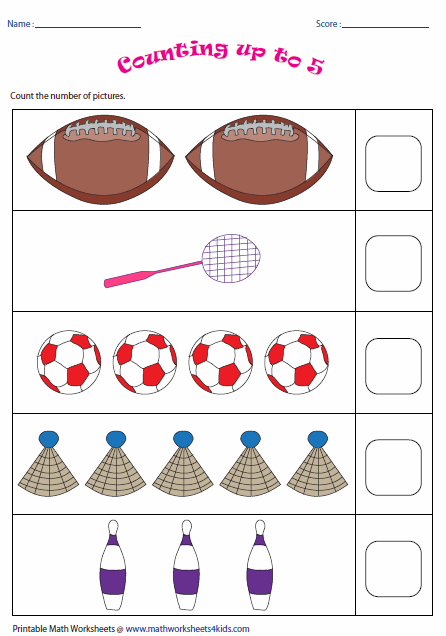 These counting worksheets are suitable for kids under pre-school, kindergarten and grade 1. 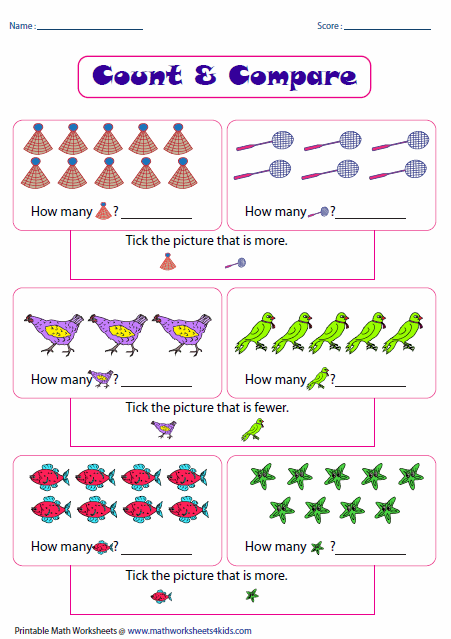 Count and write the number of pictures in each question. Read aloud each number and color as many pictures as you read. 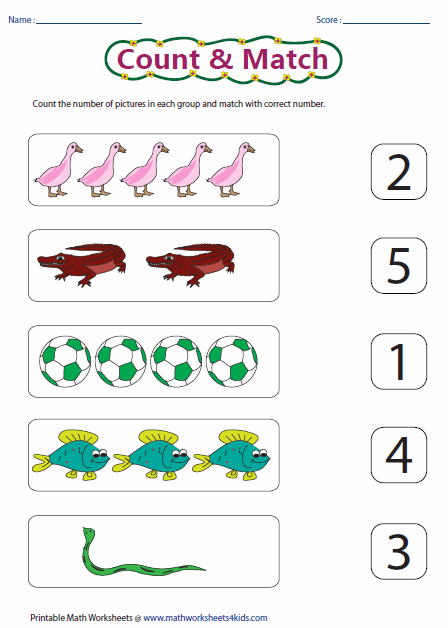 Count the objects and choose the correct number that represents cardinality of each group. Look at the real life theme and count the number of objects in each type. Answer simple word problems. 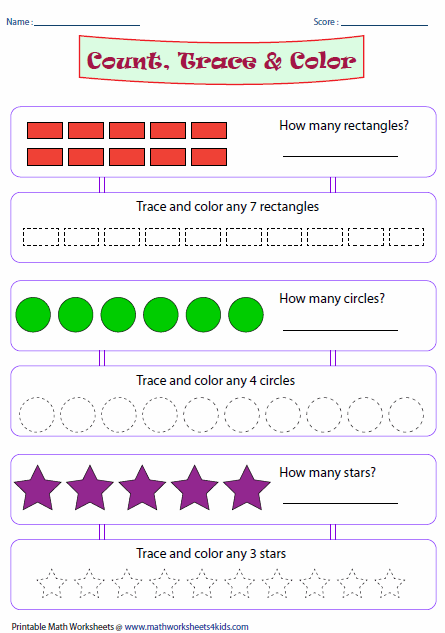 Use our color-by-numbers worksheets to help children in recognizing the numbers from 1 to 20. Each worksheet has 2 types, first type about counting shapes; second one about tracing and coloring shapes for given number. 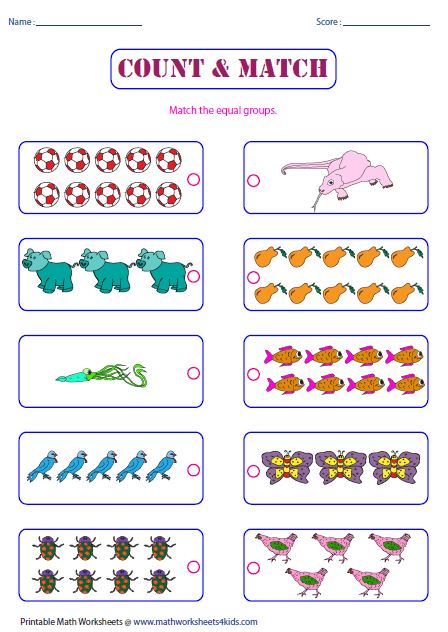 Match each group with another group that is equal in cardinality. Count the number of pictures in each group. 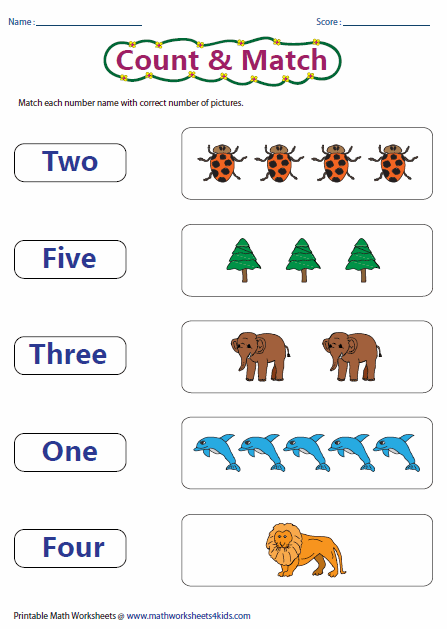 Match each group with correct numeral. Draw a line from each number name to the group with same number of items. Which group has more or few? 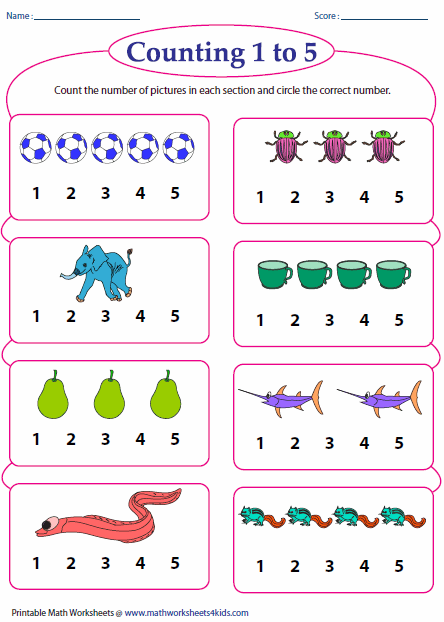 Count the number of objects in each group, compare the cardinal number and select the big/small group. 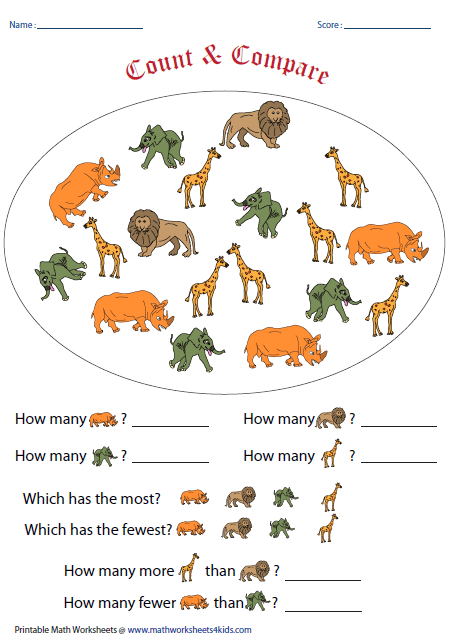 Word problems contain counting and comparing number of animals in each category. 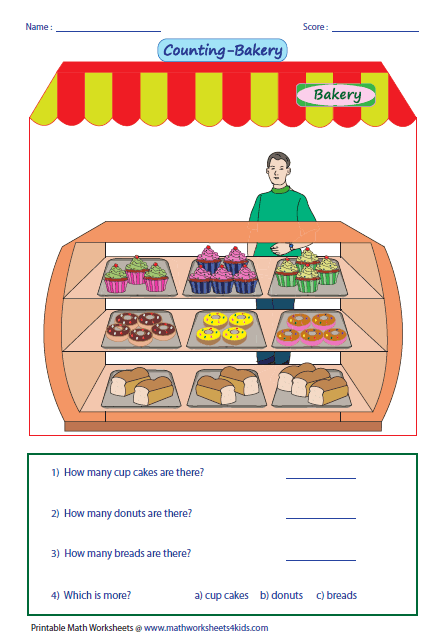 An array of 15+ creative and colorful set of worksheets on estimating count designed for beginners to first estimate and then count the objects.